As we move forward into the Spring semester, the HS Admin Team is engaged in reflecting on the impact of the new policies we initiated in August and is working to make adjustments where necessary. As a reminder, our goals for this year center around growing relationships with a focus on improving the communication between school and home. Our new policies were by in large a response to concerns shared by parents and students the previous year and we are continuing to work to be responsive to such feedback. Secondary Administrators are happy to see that we have significantly fewer students applying out to other schools this year! TRUE! We have the lowest number of students applying out of any year since we started keeping records. Both the Middle School and HS programs are growing with the Middle School leading all divisions in adding students! 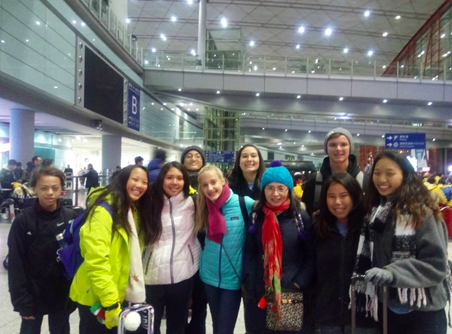 Immersion students arrive in China. Four-day culinary clinic with cake decorating, pro-tips for pastries, and learning how to modify recipes. As we end our second first week of this semester (last week being I-term), students are quickly getting back into the rhythm of the school year. Parents of Sophomores, please do not forget to RSVP to our DP Information Night coming up on January 29th. As was explained in the invitation, this will be an opportunity to learn about the DP program--generally, specific details about class selection and a chance to ask questions. On that topic, I have also had the pleasure of speaking with many of our alums from last year who have been on campus before heading back to college. While obviously not a scientifically standard sample size, I can report that without exception, all students reported that their LJA training (in particular the DP) had put them ahead of their classmates academically. One student who was a good to average student at LJA even earned straight A's in his first semester. 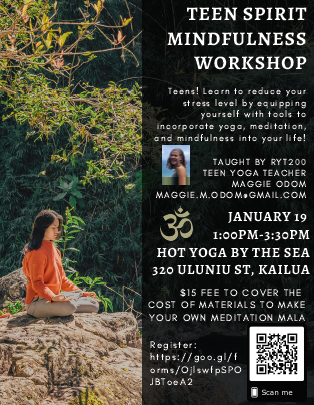 Tenth grade student Maggie Odom is hosting a yoga workshop for teens this weekend for her final Personal Project outcome and would love for students to come and support the culmination of her yoga certification for her Personal Project! Teens will learn to reduce their stress level by equipping themselves with tools to incorporate yoga, meditation, and mindfulness into their life! This workshop will include yoga class, guided meditation, discussion, and the creation of a meditation mala. Bring a water bottle, comfortable clothing and a yoga mat. Report Cards go out on Friday, January 25th. Krista Quint, MYP Coordinator and MS Dean of Academics is providing extended information on Understanding your child's report card. Click HERE for her presentation. If you have any questions, please contact Mrs. Quint at krista.quint@lejardinacademy.org for more information. The Winter Ball will be held on Friday, January 25th from 6:30-10:00pm at Pomaika'i Ballrooms. 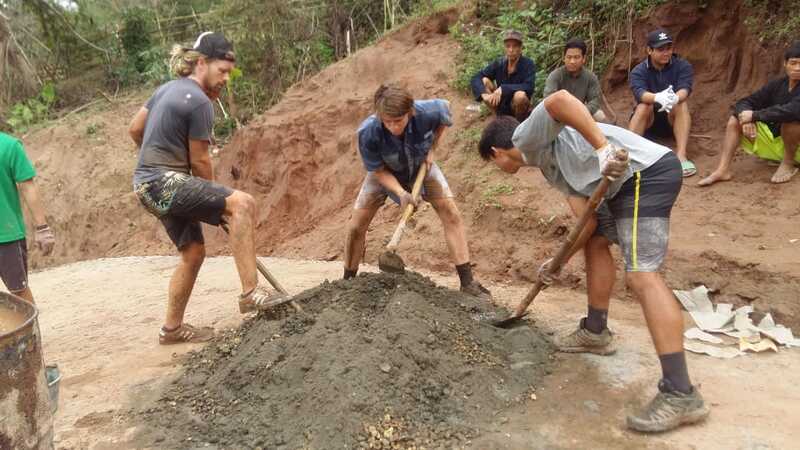 The Cost is $40.00 per person. This Friday after school from 2:30-3:30 p.m., Jamba Juice will be in the Lower School area by the Loop and in Middle School Courtyard afterwards. Smoothies will be available every first and third Fridays of the month. The first Friday will be during Middle and High School Lunch. $5.00 per juice. All proceeds benefit the Class of 2019 Project Grad. Report Cards will be released to parents/guardians on Friday, January 25th. The Winter Ball will be held on Friday, January 25th from 6:30-10:00pm at Pomaika'i Ballrooms. Tenth grade parents are invited to an information session on January 29th from 5:30-7:30 p.m. that covers the Diploma Programme. The evening will provide an opportunity to hear about the course offerings, how the program works, and to ask questions. Please RSVP by Thursday, January 24th to Mrs.Broussard alessandra.broussard@lejardinacademy.org in the High School office. Students will choose a monologue from a list of the works of Shakespeare and perform it from memory. 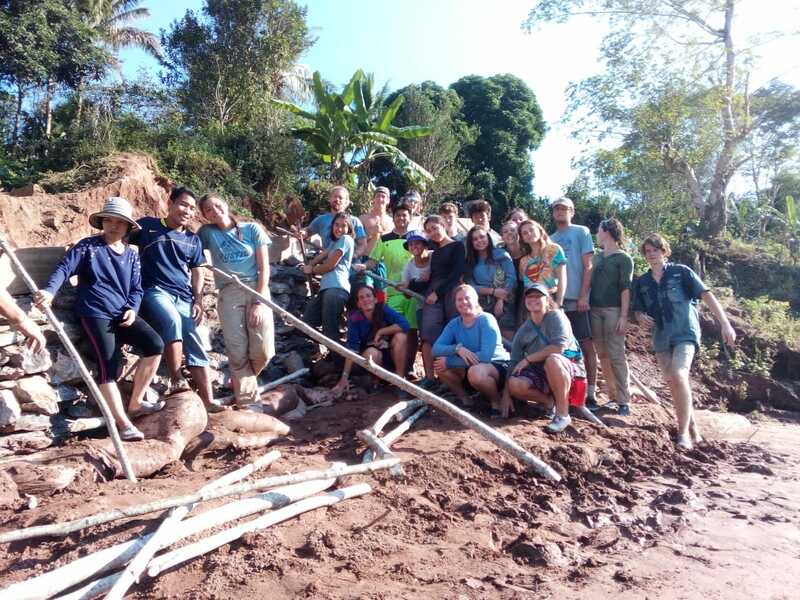 The winner of the school competition proceeds to the state competition, which will be held (beginning at 1:00 p.m.) on Saturday, March 2, 2019 at Luke Auditorium in the Punahou School's Wo Center. At the state level, students perform both a monologue and a sonnet. The winner of that proceeds to the national competition in New York City, all expenses paid. Hawaii has had three national champions since 2011 (from Punahou, Mid-Pac, and home school). This will be the fourth year that Le Jardin has participated.